Rhytidectomy, commonly known as face lift, is a cosmetic surgery which tends to give a youthful appearance to the face. It basically removes excess skin from the face and tightens the underlying muscles. With age, wrinkles and dark lines appear on the face. The skin becomes to sag and loosen. This surgery helps to correct these deformities and reduces aging effects. This procedure can either be done alone, or in conjunction with other cosmetic surgeries such as forehead lift or nose reshaping. Before the surgery, the facial structures such as skin contour, color and underlying bone are properly examined. The entire procedure will be explained to the patient. During the rhytidectomy procedure, the individual is usually kept under general anesthesia to numb the skin. In the traditional procedure, a small incision is created in the temple area, which stretches downward in the front of the ear and behind the hairline. The surgeon then raises the skin and tightens the underlying muscles and tissues. Excess fat and skin is also removed. After re-draping the skin over the face, the skin is closed with the help of sutures. If there exist excess fluid or blood, then it is removed using a drain which is placed under the skin. This drain is usually removed after 2 or 3 days and the affected area is covered with bandages. 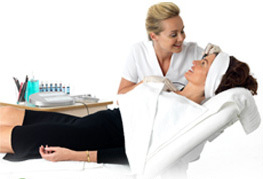 Lasers: This procedure makes use of laser for improving the facial appearance. It mainly uses local anesthesia and a small incision is made beneath the chin. This face-lift procedure is also known as laser neck and jaw liposculpture and resurfacing. Endoscopy: Nowadays, face lifts and brow lifts highly use endoscopic techniques. Smaller incisions are used in this method. This procedure does not need cutting away of folds of skin. It has a faster recovery. Liposuction: In this procedure, the focal fat deposits are removed. The space in between the chin and the neck is the main target area. Liposuction can either be done alone or combined with other face lift surgery. Medications are usually prescribed by the doctor to relieve discomforts of surgery. The discomforts include pain, swelling and bruising. Cold compresses are recommneded. The patient is usually instructed to keep the head in elevation. This fastens recovery. Tobacco chewing and smoking after surgery are strictly prohibited. These harmful items can delay the healing as well as form scars on the face.